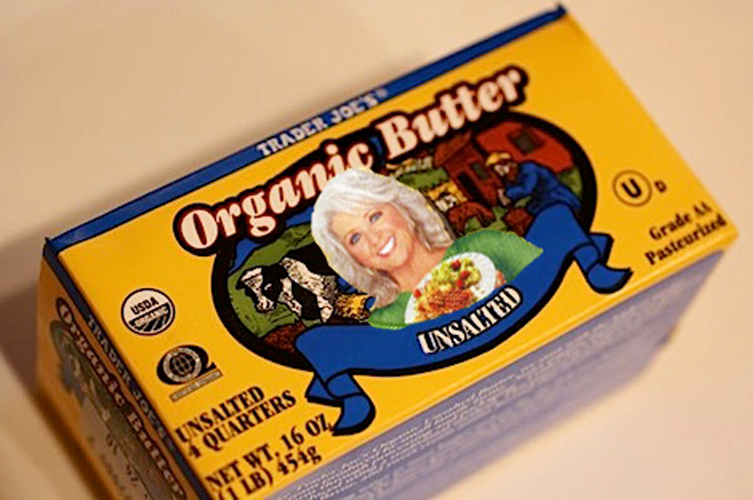 As good as your "European Style" butter sounds, it's probably not the best way to change your image. 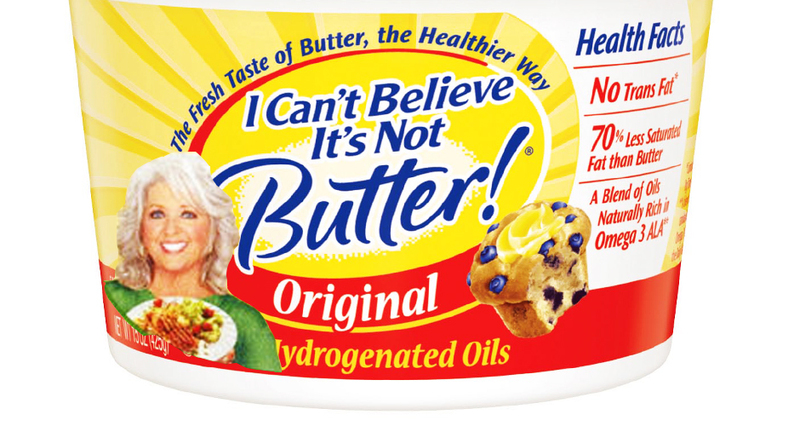 Paula Deen’s caught between a rock and a hard place: launching a line of butters makes perfect sense if it’s your signature ingredient/catchphrase, but it makes less sense when you’re trying to rebrand yourself as “healthy” post-diabetes diagnosis. Her solution? Go ahead and launch the line with Walmart anyway. As Eater reports, she went on to talk about it on The Today Show and make the bold claim that “finishing butters” are downright healthy because they’re designed to be added to a finished product, presumably cooked sans regular butter. Yeah… it didn’t strike us as a sensible marketing strategy either. Deen brand butter…for Trader Joe’s: This is the store that peddles dark-chocolate peanut butter cups and still manages to have a healthy rep, plus its low prices keep it populist and free of the Whole Paycheck stigma. Besides, TJ’s has perfected the dirt-cheap-but-still-gourmet aesthetic Deen’s presumably gunning for. I Can’t Believe It’s Not Butter, Y’All: Margarine’s the best of both worlds—it capitalizes on Deen’s legendary association with butter, but also distances her from butter’s artery-clogging dark side. Figuring out a way to make it taste not terrible would be a bonus, but we won’t get our hopes up. 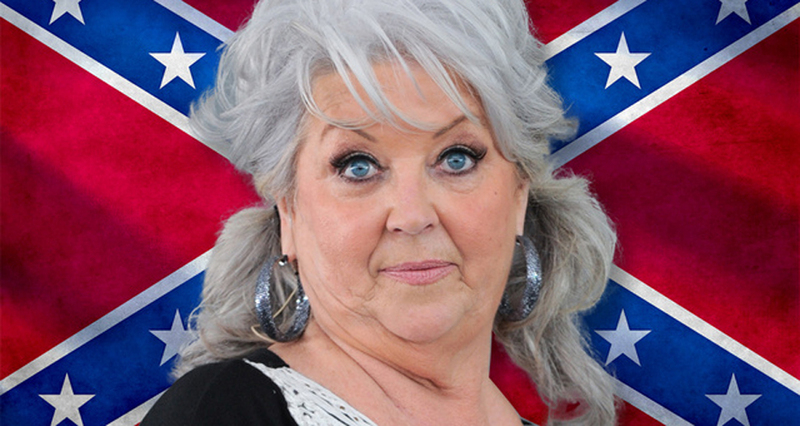 Paula Deen exercise machines: It doesn’t matter if she actually uses them, it just matters that her name’s on her elliptical/treadmill/StairMaster of choice. Perfect for the middle-aged women that make up Deen’s target audience (plus everyone knows the Food Network is the best mid-workout motivation). Just add kale, or wheatgrass, or acai: The beauty of overhyped, overused ingredients du jour is that they automatically make whatever they’re in seem ‘healthy,’ or at least nutritionally neutral. Paula could use as much butter as she damn well pleased if she just swapped out blueberries for Brazilian antioxidant bombs (which, no one has to know, are actually pretty caloric themselves). Launch a farm-to-table restaurant: Dairy’s a-okay as long as you can name the farm where it came from (and said farm is less than 100 miles from the restaurant).